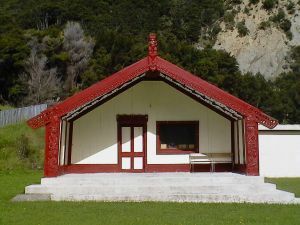 Tena tatou nga uri o Materoa kei te kainga e tiaki ana i nga ahi kaa, kei te whenua hoki e noho ana. Kei te mihi kei te tangi ki nga mate pukahu o te motu, haere, haere, haere atu ra. Ki a tatou nga urupa o ratou ma tena tatou katoa!! 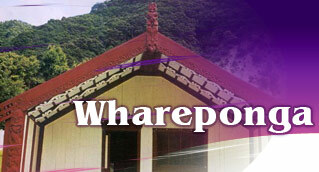 Kia ora te whanau and welcome to the official new Whareponga Marae website. The marae committee and whanau hopes that this initiative will compliment our communications with the whanau at home and the whanau living away. It is an opportunity to inform everyone about current and up-coming projects and events pertaining to our piece of paradise we call home! Keep a watch out for our website as we add different korero and develop it further with nga take o te wa. It is our intention also to post up a message board, photo’s, korero tuku iho and even a register. This will allow us to develop our own marae record and keep you informed about what is happening for us here at Whareponga!